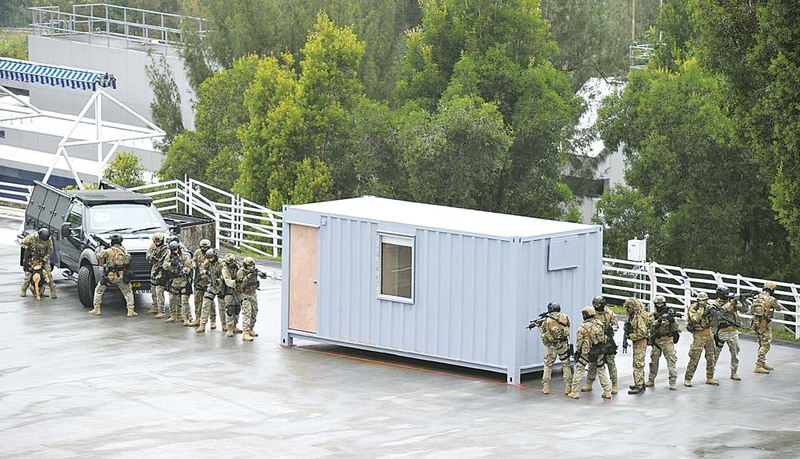 For combating terrorist activities, the Force has adopted a comprehensive strategy and enhanced its counter-terrorism capability in order to maintain Hong Kong as one of the safest and most stable societies in the world. 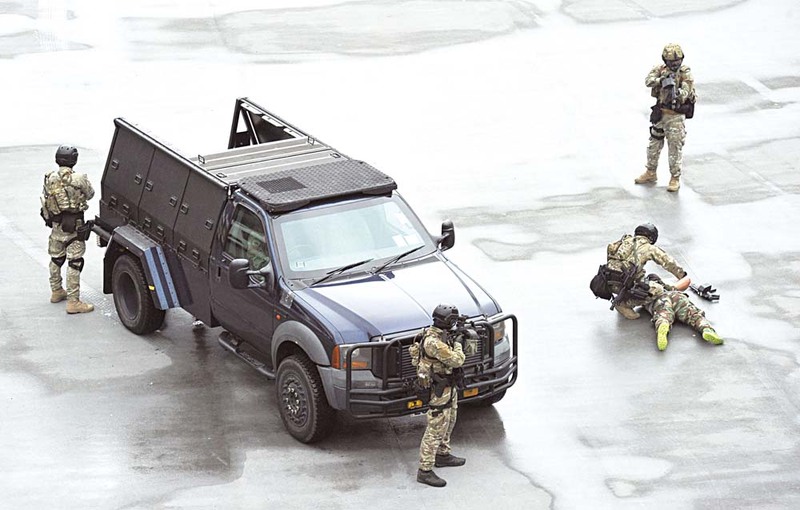 Popularly known as "Flying Tiger Squad", the Special Duties Unit (SDU) is the most important counter-terrorism team within the Force. 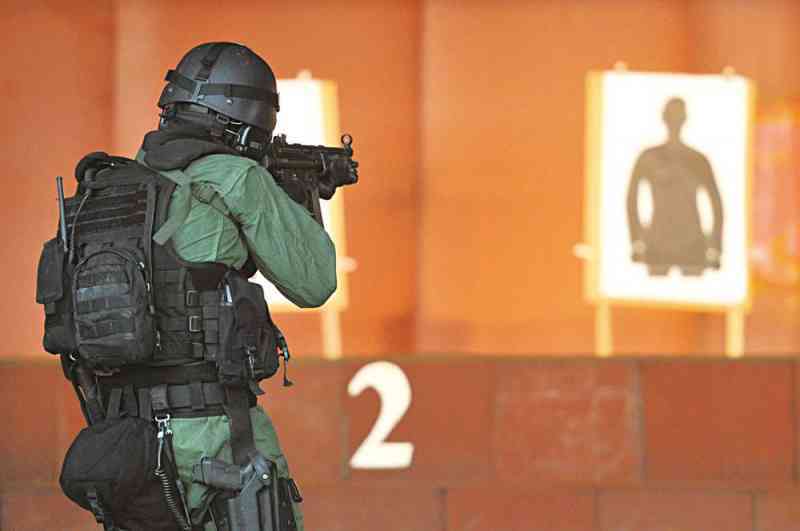 Formed in 1974, the SDU has entered its 40th anniversary. With the modest establishment of ten odd members at the outset, it has developed from strength to strength over the years and become what it is today - one of the most well trained units of the Force. 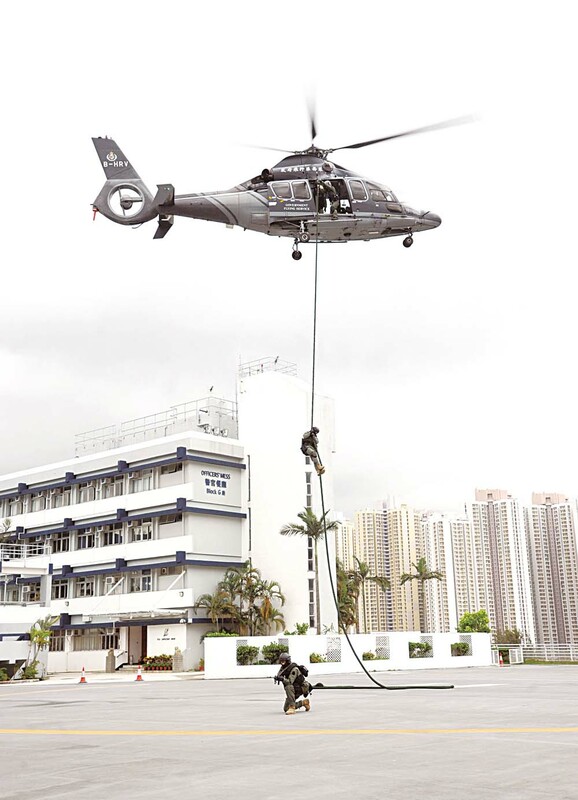 The "Flying Tiger" members keep their physical fitness at top form and remain vigilant and alert at all times for any untoward incidents. 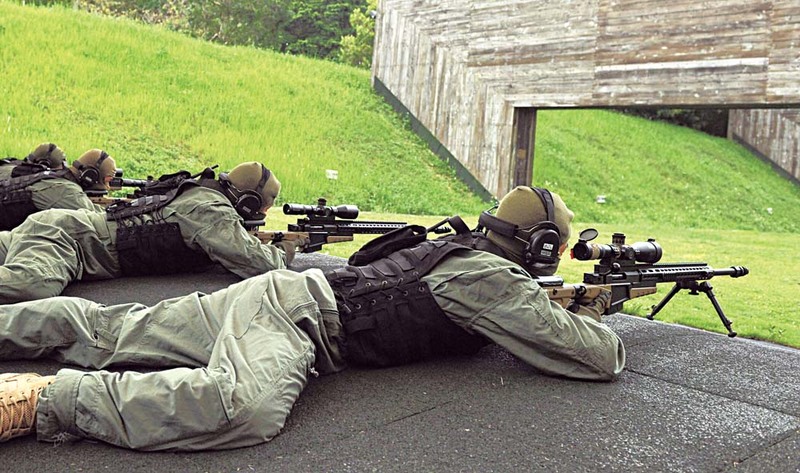 To qualify for a "Flying Tiger", a recruit has to pass the most stringent selection procedure, which is followed by nine-month hell-like training in weapons handling and marksmanship, tactical movement, unarmed combat, breaching, climbing and roping, chemical, biological, radiological and nuclear incidents, and combat medicine. 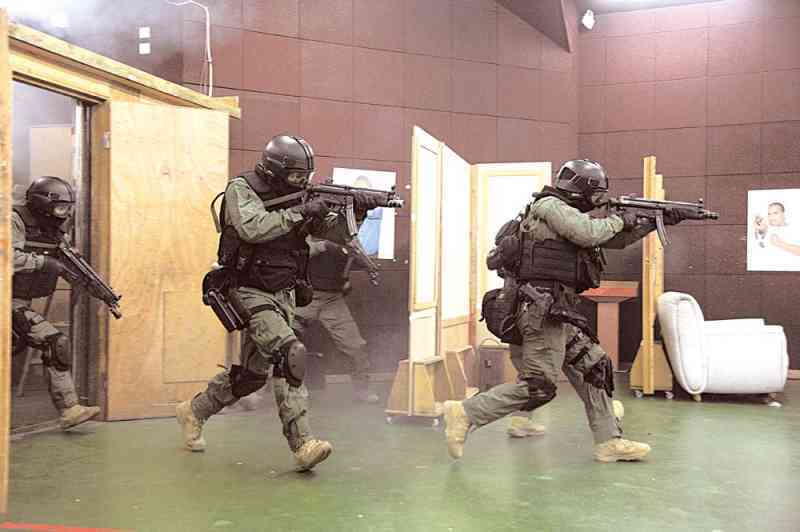 To protect the various sectors of the community, the SDU has committed itself to maintaining the highest operational effectiveness as well as the highest level of professionalism for coping with the threats and challenges of terrorism, crises, and serious and violent crimes, and for carrying out other police special operations. 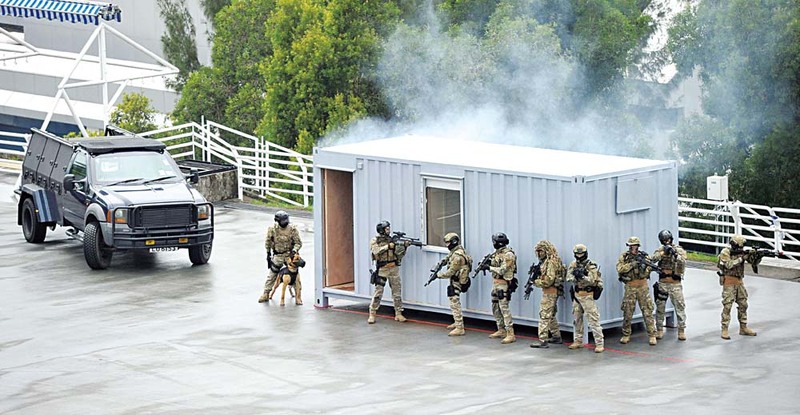 The photos published here capture the highlights of SDU's tactics and skills demonstration.